Okay, enough, I know everyone knows that this is just what it is like at the end of the school year, but somehow I manage to forget just how crazy it is! This week I just want to share a few of the ways we motivate our students at our school through school wide competitions. I know not everyone agrees with competition but I think that these examples are good ways of using competition to motivate students to but forth their best effort and are a way to reward a variety of students. We have these competitions each year so students have multiple chances to win, they are well aware of what it takes to win and often the students who win are not the same students who make the sports teams or join other clubs. 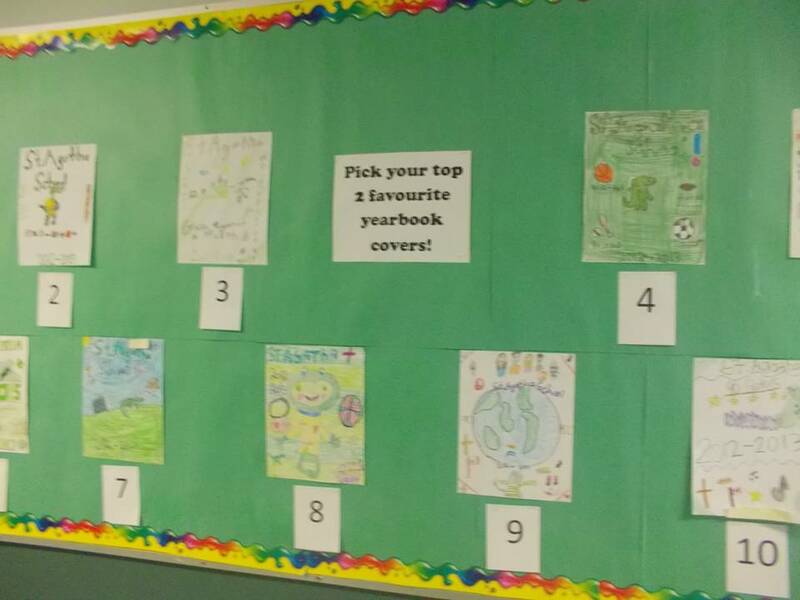 We have a yearbook cover competition. My BFF and I select 10 covers, she puts up a bulletin board, everyone in the school votes (right down to Kindergarten). We take the winner from grades 1-4 and grades 5-8 and we make it into the front cover and back cover of our yearbook. We have a "Win a Page" in the yearbook competition. One of my students won this competition this year. She had to write why she loves our school and on her page in the yearbook we include her writing and pictures of her and her friends and her family (brothers and cousins at our school!). 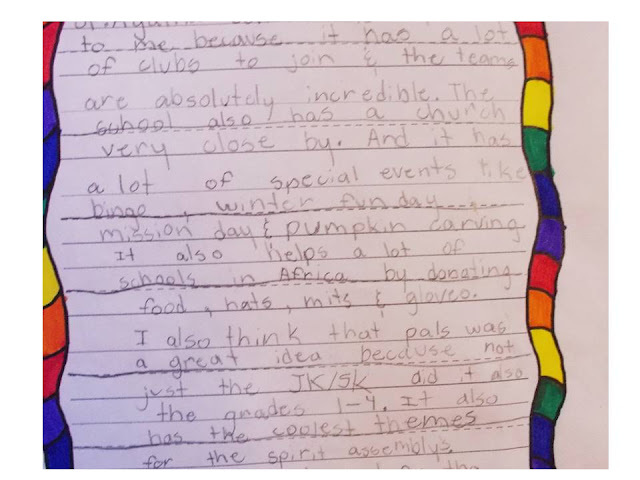 Here is a piece of her writing. We have a Christmas Card competition. Each year students design a Christmas card, two are chosen and are used by our Principal to send out to community partners, other schools, board staff etc. Plus the students family is given a set of cards with a personalised message inside from their family. I have had 2 students win in the last 2 years - one in Grade 3 and one in Grade 4 - this motivates my class like nothing else, since they know they have a chance. You may not be able to do Christmas/Holiday cards at your school but this could also work with Thank You cards. 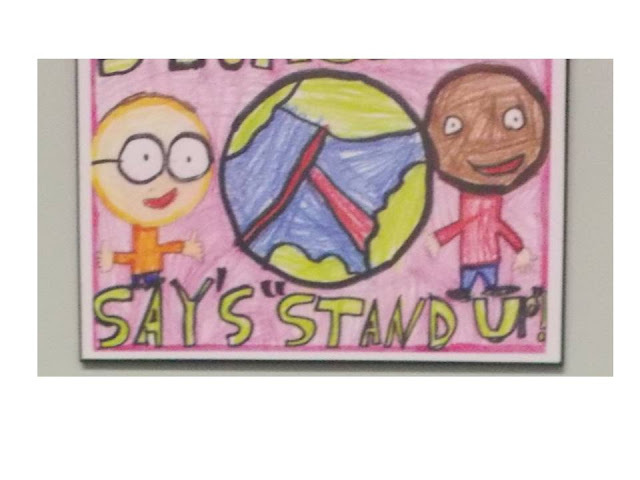 We had an Anti-bullying Flag competition. 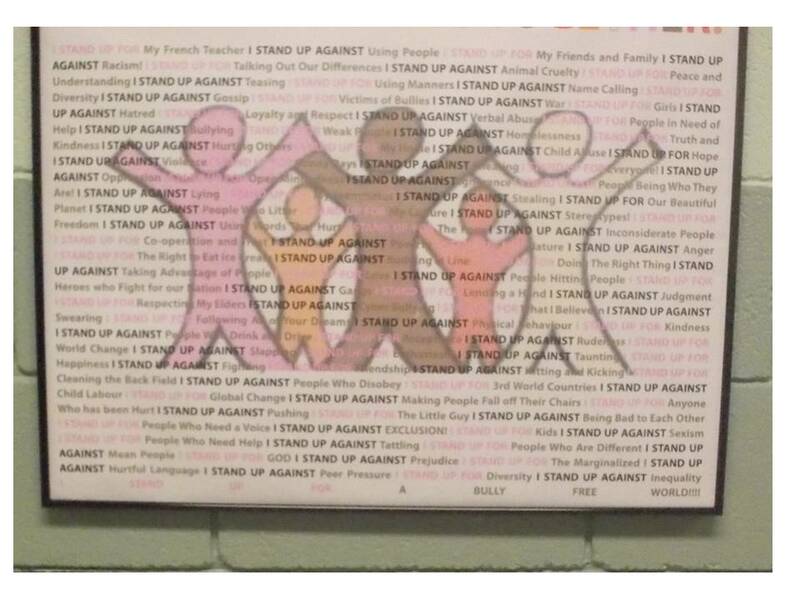 The winning submission was made into a flag we fly during Anti-bullying week, Pink Tshirt Day, Education Week and the first week of school. Students from each class were recognised with certificates and another student had his submission turned into a plaque for our hallways. As I said not everyone loves the idea of competition but I think these really work to motivate our student. But we are not all about competition, we also do cooperative projects too, honestly. Each year we also make a poster that represents our whole school. 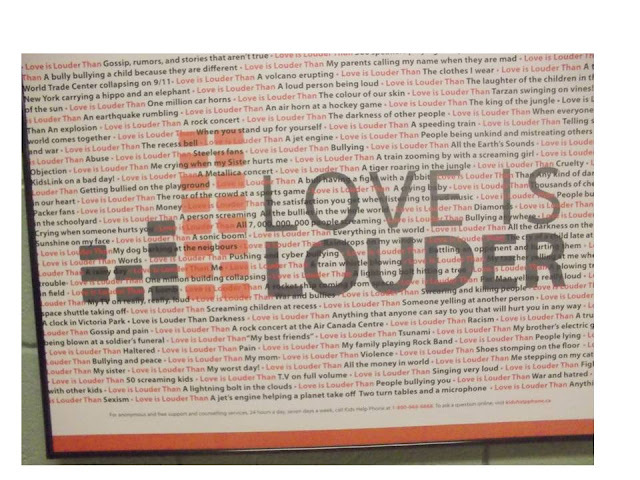 Everyone gets a slip of paper with a sentence stem such as "Love is louder..." or "I stand up for...." they complete the sentence, they all get included into a poster we have framed and hung in our school. The students love to be involved in these activities, they love being part of the school and having it displayed for everyone to see. I find my students are motivated if they know their work will be displayed in the hall. I am so happy that I managed to get a blog post in today. I need to get ready cause I am a backstage volunteer today, what was I thinking? 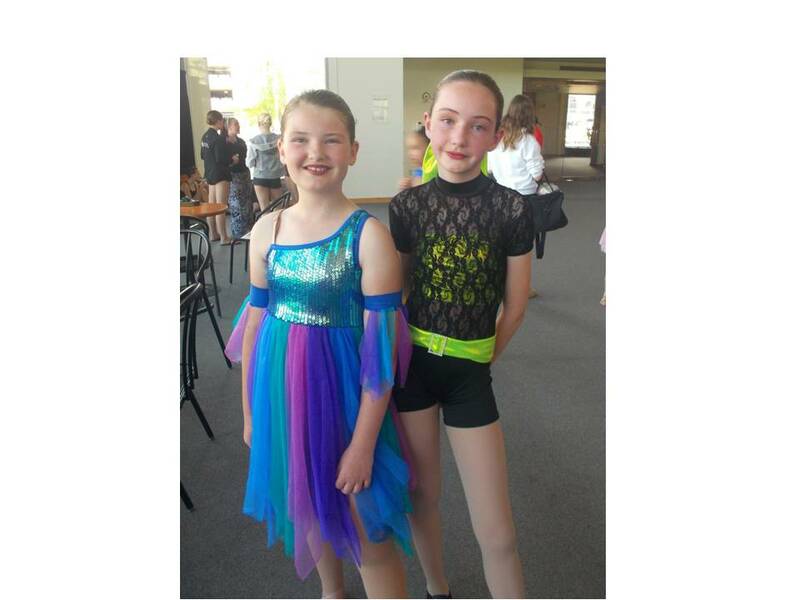 Here's a pic of my girls though - I guess it is all worth it after all! So many great ideas! We do a competition for our agenda cover (and some PTO things like the directory). I will have to make sure I pass on some of the others. I was going to email you yesterday to see if you were ok but then I realized I hadn't blogged since Monday and you were probably just super busy. But if you didn't blog this weekend I was going to start stalking you and possibly make a trip to Canada. Just sayin. I like the idea of all of these competitions. And the truth of the matter is, if kids aren't competitive, they won't do it- no harm, no foul. But for those that are, or who may be more artistically inclined then academically inclined, I think this is a great way to get them involved. I don't know how you teach full time, blog AND be a mommy! I don't have kids and still only commit myself to 1 post per week. I think competition is healthy in moderation. :) It's part of life, and that's what we're getting kids ready for. I don't give any prizes for winners though. I feel like a round of applause provides good intrinsic motivation and the kids who don't win don't feel as crushed. Wow! You've been busy! I agree, I always get so crazy at the end of the year with school and home,but I think I always forget too! Thanks for taking time to link up with me...you're the best! Your school sounds so amazing! I love all the fun and motivating things you do AS A SCHOOL! Such team effort! 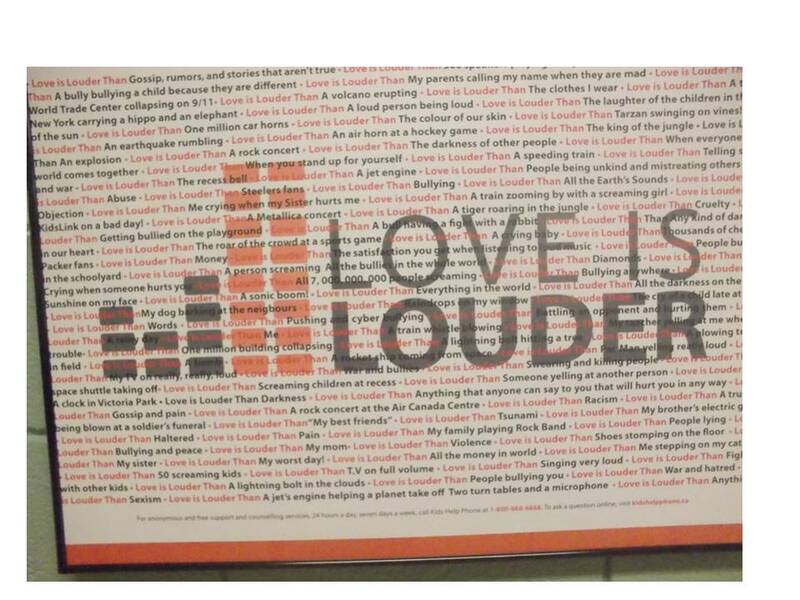 I love the Love is Louder poster! What an honor to win a spot in the yearbook! All of the ideas you posted are fabulous and promote healthy competitions! Your daughters are beautiful and love those costumes!I bet you had fun today!